Tracks are a good method of changing your hairstyle. Gluing tracks, or hair extensions, to your scalp is a cost efficient method of achieving a new and longer hairstyle. Most licensed beauticians offer the service at salons; however, you can glue tracks in your hair or to a friend's scalp at home for a fraction of the price. The process of completing the hairstyle can take a long time because you must be careful when gluing in each track to avoid damaging the hair or scalp. Buy a bottle of hair bonding glue. The product can be purchased at many beauty supply stores and is available in either black or white. Locate a pair of sharp scissors that can easily cut the tracks into sections. Wash and condition your hair. 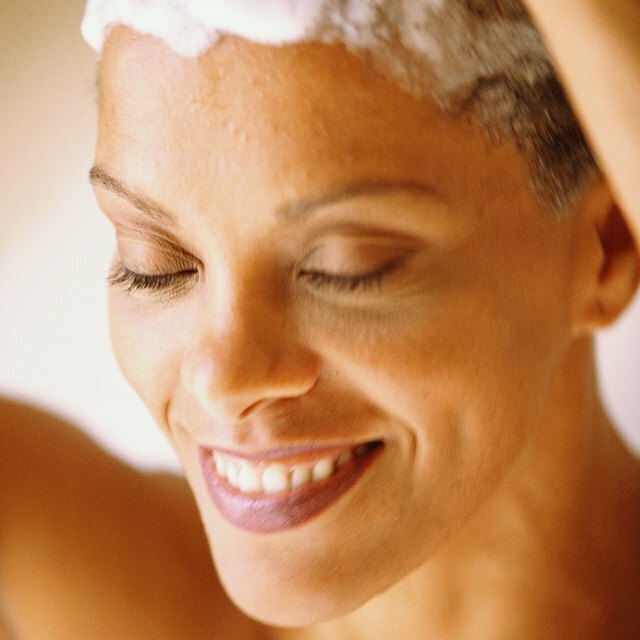 Dry your hair thoroughly because the glue will not bond to your scalp if the hair is wet. Avoid applying oil sheen or hair polish to your hair. Oil also acts against the bonding glue. Start at the nape of the neck and part a small section of hair. Gather the rest of your hair into a clip so it won't get in the way of the glue. Measure the tracks across the horizontal section of your scalp. Cut the measured piece of hair extension. Apply a strip of the hair bonding glue to the top of the track. Carefully place the track on your scalp. Hold the extension to your skin for 30 seconds to make sure it bonds. Part another section of hair. Don't section the hair too far from the prior track because you want your extensions to look natural. Continue gluing in tracks to the rest of your scalp. If you haven't applied a relaxer to your hair recently, mist each track with an extra hold spray so your extensions will last for a longer period of time. When you reach the front of your hair, be careful when applying the weave so your tracks aren't visible. If you get bonding glue on your real hair, use hair bond remover on the spot immediately. Washing your hair while you are wearing tracks will cause your extensions to fall out.